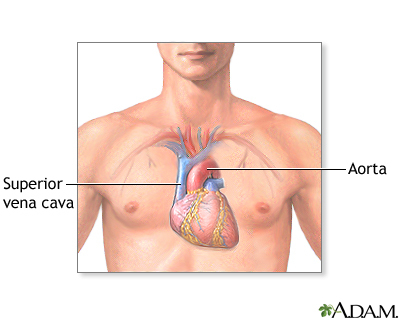 The heart is located in the chest cavity, or thorax. 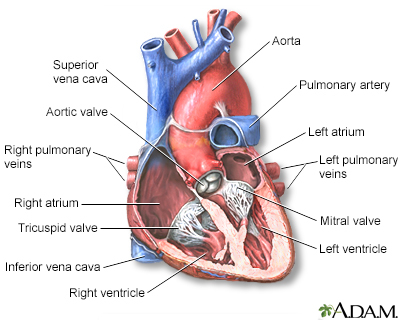 It pumps blood from the lungs to the rest of the body. Finding a donor heart can be difficult. The heart must be donated by someone who is brain-dead but is still on life support. The donor heart must be in normal condition without disease and must be matched as closely as possible to your blood and /or tissue type to reduce the chance that your body will reject it. You are put into a deep sleep with general anesthesia, and a cut is made through the breastbone. Ask them how many transplants they perform every year and what their survival rates are. Compare these numbers with the numbers from other centers. These are all available on the internet at www.unos.org. Ask about the costs of medicines you will need to take afterwards and if there is any financial help in getting the medicines. Fighting rejection is an ongoing process. The body's immune system considers the transplanted organ a foreign body and fights it. For this reason, organ transplant patients must take drugs that suppress the body's immune response. To prevent rejection, it is very important to take these medicines and carefully follow your self-care instructions. You can go back to your normal activities 3 months after the transplant as soon as you feel well enough, and after talking with your health care provider. Consult your provider if you plan to engage in vigorous physical activity. 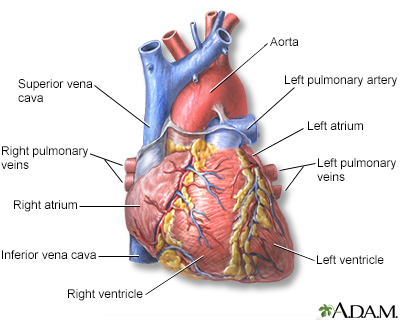 If you develop coronary disease after a transplant, you may have cardiac catheterization every year. Acker MA, Jessup M. Surgical management of heart failure. In: Mann DL, Zipes DP, Libby P, Bonow RO, Braunwald E, eds. Braunwald's Heart Disease: A Textbook of Cardiovascular Medicine. 10th ed. Philadelphia, PA: Elsevier Saunders; 2015:chap 28. Alraies MC, Eckman P. Adult heart transplant: indications and outcomes. J Thorac Dis. 2014;6(8):1120-1128. PMID 25132979 www.ncbi.nlm.nih.gov/pubmed/25132979. 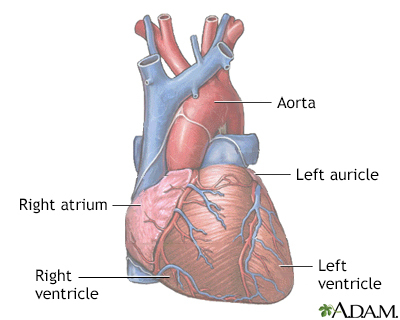 Mancini D, Naka Y. Cardiac Transplantation. In: Goldman L, Schafer AI, eds. Goldman-Cecil Medicine. 25th ed. Philadelphia, PA: Elsevier Saunders; 2016:chap 82.